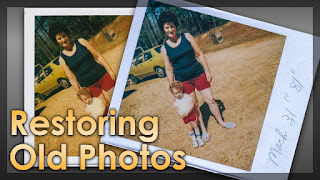 In this Lightroom Classic CC tutorial I show you how you can restore old photos back to how they looked when they were first taken. For this tutorial I actually have an old polaroid photo taken in 1981 that I will be showing you how to correct the white balance and bring out detail from the image. Ashampoo create, share and store your memories.